It’s been another tough year for Arsenal – and especially Arsene Wenger. 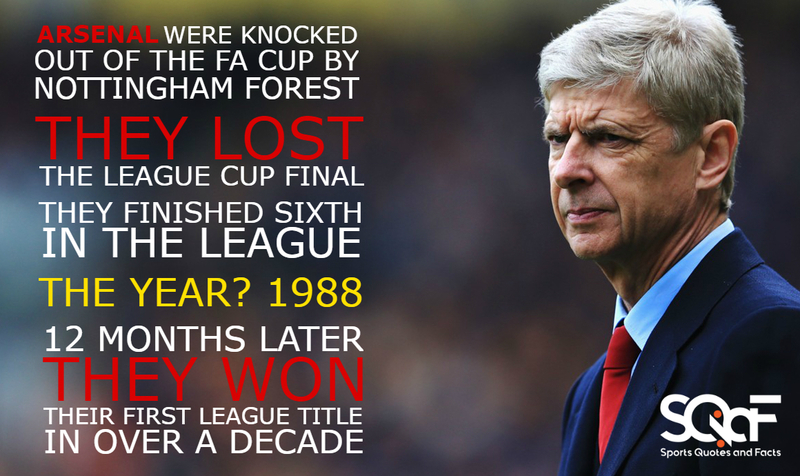 Indeed, Arsenal were knocked out of the FA Cup by Nottingham Forest, lost the League Cup final and finished a disappointing sixth in the league, not just in 2017/18, but also 20 years ago in 1987/88 under George Graham. That summer, they stuck with their manager, and the following season they caused quite the upset by winning the top flight title on the final day of the season – and in the most dramatic fashion. In 1989, Arsenal headed into the final game of the season in second place, three points behind Liverpool, with a goal difference two goals worse. Their opponents for the last game? Liverpool at Anfield. Arsenal took a shock lead in the game, but it looked as though they would fall just short of winning the league. But then, in the final minute of the game, Michael Thomas fired past Bruce Grobbelaar to upset the Anfield faithful, who then had to watch their opponents lift the Division One title right in front of them. So, could history really be set to repeat itself exactly 20 years later? Probably not. commentLeave a Comment on Is History Repeating Itself for Arsenal?